You’re committed to growth and learning. You recognize that collaboration creates success, since no one can do it alone. You recognize that you have blind spots that only another can see. There are certainly lots of coaches out there and lots of certifications. But, nothing substitutes for experience. How many coaches have been champions? Very few. How many coaches have led a championship performing team? Even fewer. How many coaches have developed championship teams and performances multiple times in multiple venues (sports, healthcare, health, business, leadership)? Even fewer still. Coach Ruben has… for over 40 years! Coach Ruben has developed a wide array of tools in his tool-chest from some of the best coaches in history. John Wooden, Tony Robbins, Wayne Dyer, Stephen Covey, Zig Ziglar, Jim Rohn, Ken Blanchard, Don Shula, Brian Tracy, John McDougall, Neal Barnard and many others. He coaches you from where you are and helps you get to where you want to be. You get to create an entirely new lifestyle, being fulfilled by what truly matters to YOU. Whether it’s your leadership, your business organization, your communication and/or your health. You WIN! Over 40 years of coaching high-level swimmers and athletes (since 1976), with an organized and systematic approach to developing the technical skills, physical strength, mental toughness, and disciplined practices for producing optimal results. Over 3 dozen of his swimmers went on to compete in college and two reached the United States Olympic Trials. Several of his teams won championships or had breakthrough seasons. In 2007, he returned to Christian Brothers High School where he had led them to win their only league championship in 1986. In the 2008 season, his intended final season, he led them to qualify 22 of 33 swimmers (67%) for state section championships – a record in performance for the school’s swim team. Officially coming out of retirement in 2016, Coach Ruben was the high school coach for his youngest son, Joseph. As a freshman at Sacramento Waldorf High School, Joseph finished in 5th place in the 100 yard breaststroke for Frosh-Soph Boys, and was the 2nd fastest freshman at the state section championships. 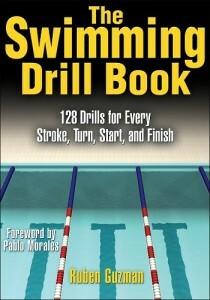 Recognized as a world-expert in stroke technique for swimming, Coach Ruben is the author of the first comprehensive drill book in the sport – “The Swimming Drill Book” – published first in 1998 (as “Swimming Drills for Every Stroke”). 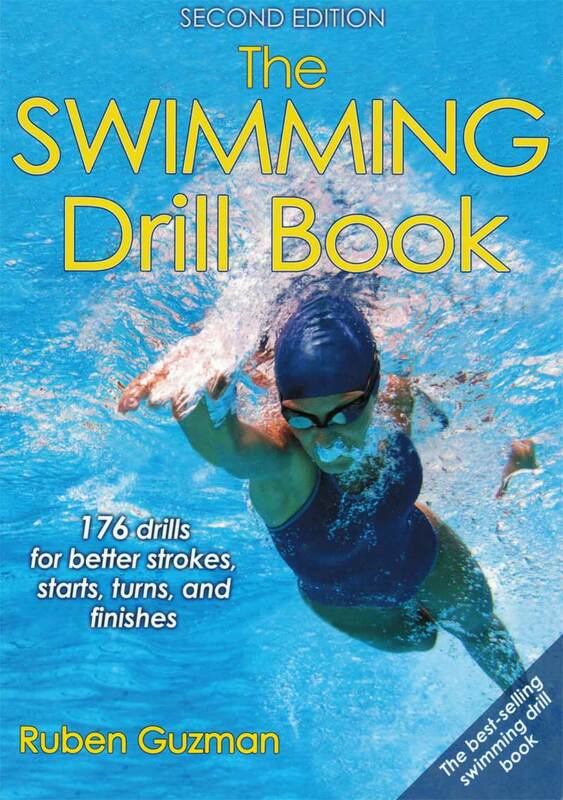 This 2007 book features 128 drills designed to systematically improve every aspect of a competitive swimmer’s skills – whether they are a beginner or a national-level swimmer. Used world-wide, it is the primer for becoming a “black belt” in swimming, and has been translated into Japanese, Italian, Portuguese, Russian and soon Spanish. It became a best-selling drill book. A second edition was published in 2017. A passionate student of leadership, Coach Ruben helped write the course design for “Leadership for Health Professionals” at UCLA during his graduate studies in 1987, and ever since has been instructing health professionals and other leaders in the art of leadership utilizing his unique approach of combining self-leadership, situational leadership, team leadership and organizational culture skills. He has also implemented these skills in his coaching of championship swimming and water polo teams, as a leader in health care administration, and as a coach of many CEO’s and executives. A champion for promoting health and eliminating chronic disease, Coach Ruben has over 30 years of experience in the health field (since 1980) and has been a pathologist’s assistant, a medical student at UC Davis School of Medicine for 3 years (82-85), attained his Master’s in Public Health from UCLA specializing in behavioral sciences and health promotion (1988), a personal trainer, a nutrition consultant, a clinical exercise specialist and yoga instructor. Having gone through his own personal health challenge and having lost over 50 pounds of excess fat in 1995, Coach Ruben has been a living demonstration of what it takes to enjoy a healthy lifestyle, filled with energy, vitality and productivity, and has taught hundreds to do the same serving as a Healthy Lifestyle Coach. He is now a member of the American College of Lifestyle Medicine, and in October 2018 became among the first health care professionals (M.D.’s, Ph.D’s and Masters in a health field) to be board certified as a Lifestyle Medicine Professional. Officially a diplomate of the American College of Lifestyle Medicine and the International Board of Lifestyle Medicine, able to work with physicians’ patients and organizations to prevent, treat and reverse chronic disease by using evidence-based strategies in nutrition, physical activity, sleep, emotional well-being and stress management, healthy relationships, and alcohol/tobacco reduction. An entrepreneurial spirit that began in 8th grade when he organized a team that sold fruit punch at the class bake sale and had the highest profitability, a whopping 833%! Coach Ruben has had a distinct capacity for making businesses work more effectively time and time again. Putting himself through college by being in business and working with businesses, Coach Ruben has successfully owned and run his swim teams and other businesses for many years. An award-winning speaker, Coach Ruben has won many awards with Toastmasters and was the 2002 District 39 Champion, and competed at the semi-finals for the World Championship in Public Speaking. He is a proud member of River City Speakers. He has also been recognized as the top-rated speaker for wellness from the City of Sacramento. In 2012, Coach Ruben was recognized from Vistage International for excellence in delivering 50 presentations to executives since 2006. Coach Ruben has over 12 years experience in health care administration and was the Assistant Administrator for Kaiser South Sacramento Medical Center in charge of Quality, Utilization, Risk and Licensing. He successfully led the medical center in both improving the quality of health care delivery and also instituting dramatic cost-saving strategies. His quality improvement projects included streamlining communication and services for patients, addressing clinical issues such as asthma, hip replacement surgery, anti-coagulant management, and others. He instituted cost-saving programs such as the out-of-area emergency case management program that saved over 10 million dollars in less than 3 years. 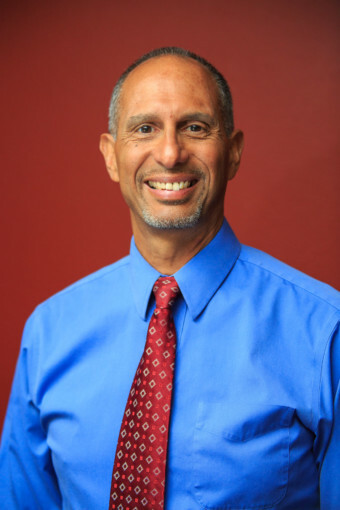 Always one to be involved with the community, Coach Ruben was appointed by the Sacramento County Board of Supervisors and served as an executive member of the Sacramento County Public Health Advisory Board, and was instrumental in making recommendations for public health policy in Sacramento County. Coach Ruben has also been trained by top military brass (Brigadier General Douglas O’Conner and Colonel Jim Valenti) in the same leadership program used to develop our Special Forces officers. Backed by his extensive leadership training, Coach Ruben has directed several large-scale team efforts and has brought his coaching success into the corporate healthcare setting and businesses. He has successfully coached and trained many champions in sports, health and business. For three years, 2010-13, Coach Ruben was a professor at DeVry University in Elk Grove. He taught Behavioral Psychology, Social Psychology, and Leadership & Motivation as upper division courses. 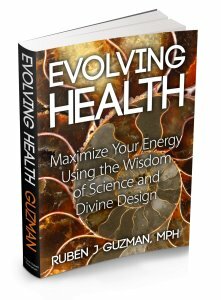 In May 2011, Coach Ruben completed his third book – Evolving Health. Based on his 10-week/25 hour program, this book provides the most comprehensive approach to transforming health and creating an energetic lifestyle. It also serves as the basis for his Corporate Wellness program. Coach Ruben’s next book, will be Evolving Leadership. This will be based on his many years of coaching executives and organizations in establishing a thriving culture with dynamic leadership. Coach Ruben is a leader in developing mental toughness and overcoming fear. He has jumped out of a perfectly good airplane at 14,000 feet, walked across 20 feet of hot coals at over 1100 degrees, broken an arrow by walking forward while having the tip placed in the soft spot of the throat, and jumped off a platform over 65 feet above a pool of water! He leads by example! How has this background helped his clients? By taking a proactive, positive, progressive, systematic and consistent approach, Coach Ruben has designed programs to empower his clients to reach and exceed their goals. The arena may be different than swimming, but the process is exactly the same. Principles of success are universal and apply in every setting. Attention to detail, thorough planning, goal setting, mastery of the fundamentals, consistent practices, and accountability. Along with shifting of the mindset, a corresponding shift in behavior, and new structures and practices to sustain results. Commitment, integrity and coachability. These are the ingredients for success. Whether addressing business strategies and practices, leadership and communication development, or health, Coach Ruben empowers his clients to develop actions in the direction of creating new and sustainable breakthroughs. Many of his Professional Performance clients have doubled or even tripled their revenue. All of his Healthy Lifestyle clients have attained remarkable improvement in their health, energy and vitality. In 2012, one client completely transformed his health and energy, releasing over 150 pounds in 18 months and establishing dynamic positive vitality that continues to this day! Other clients have successfully reversed cancer, diabetes, arthritis, heart disease and more. Accurate Monitoring went from $0.6 million to $1.1 million in just the first year of coaching (2009) – largely due to improvements in their leadership and communication processes. In the next year, by using Coach Ruben’s training and methods, Accurate Monitoring doubled yet again, reaching over $2 million. Xoopit – a high-tech startup – was able to successfully sell their company to Yahoo for $20 million in 2009 after going through coaching with Coach Ruben to restructure their leadership and communication. IndexTank – another high-tech startup – was successfully acquired by LinkedIn for $20 million in October 2011 after going through coaching with Coach Ruben to create a thriving organizational culture. Coach Ruben is also an Expert Resource Speaker for Vistage International – the world’s largest CEO organization. In 2012, Ruben was recognized by Vistage for conducting 50 presentations before Vistage groups since 2006. “This is a significant achievement, demonstrating the value Ruben provides and the enthusiastic response Ruben’s presentations generates among Vistage groups,” said Rafael Pastor, Chairman of the Board and CEO of Vistage International. Ruben has conducted 4 to 8 hour presentations to Vistage executives all over the United States and Canada in the areas of leadership and health. His most popular programs are Essential Leadership and Dynamic Health. In 2010, Coach Ruben was recognized as the Sacramento Hispanic Chamber of Commerce, Business Person of the Year for his contributions to the community, the chamber, and to young leaders in the community.